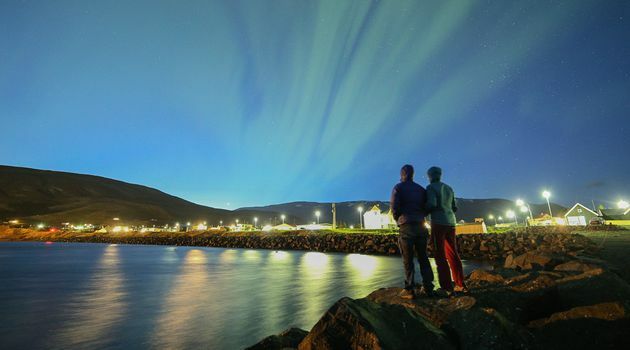 On the Northern Lights Horizon Mini Bus Tour from Reykjavík we focus on finding the perfect location to witness the magic of the Northern Lights and the dark arctic sky. We go in small groups and our guests get enough time to enjoy the show. 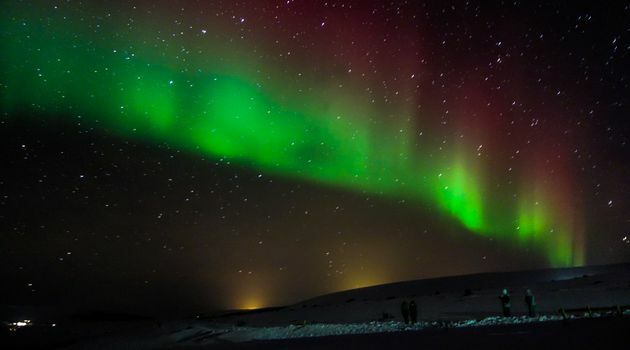 To go into the dark, frozen winter night and observe an unbelievable display of color, light and texture, is like waking up in a fairy-tale, full of mystery and magic. 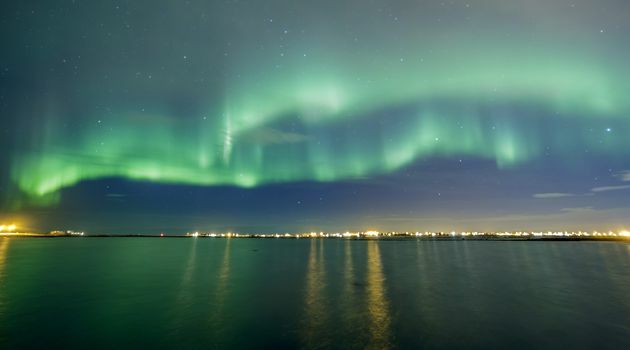 We pick you up at your Hotel or Guesthouse, or meet you at the fantastic Aurora Reykjavik Museum. 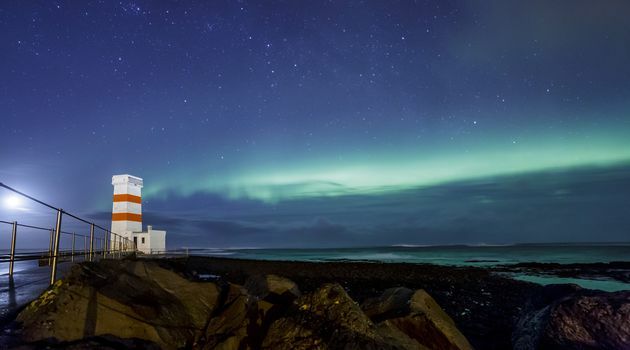 We begin our Northern Lights hunt with a tour through the museum and give you an introduction on the physics behind the Northern Lights and how it is best to photograph them. After the tour of the museum we drive out to the countryside or up to the mountains, away from electric glow and city sounds. 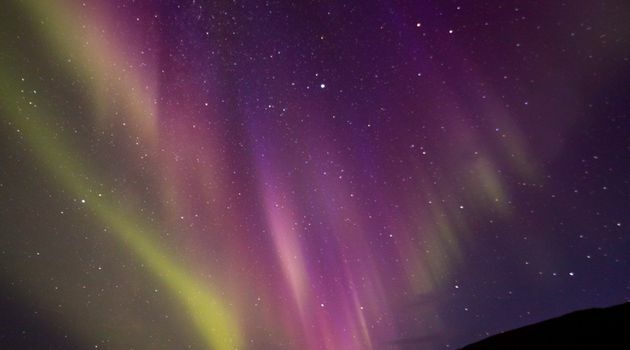 You will be able to enjoy the beautiful night sky at the best possible situation, of course depending on weather. 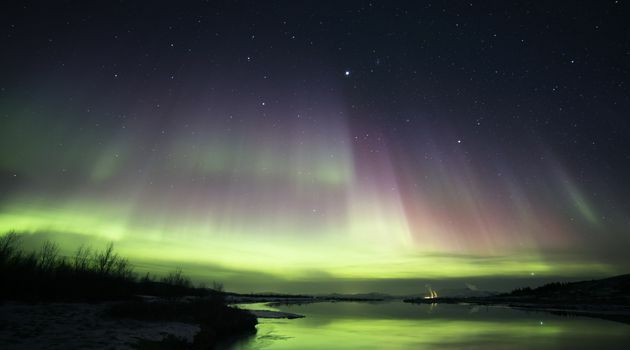 The Northern Lights, or the Aurora Borealis, are a natural phenomenon visible in the Northern Hemisphere. 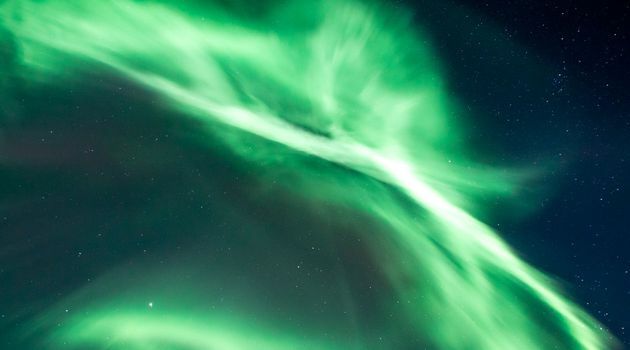 A unique display of light caused by a particle collision in the magnetic field of the polar cap. 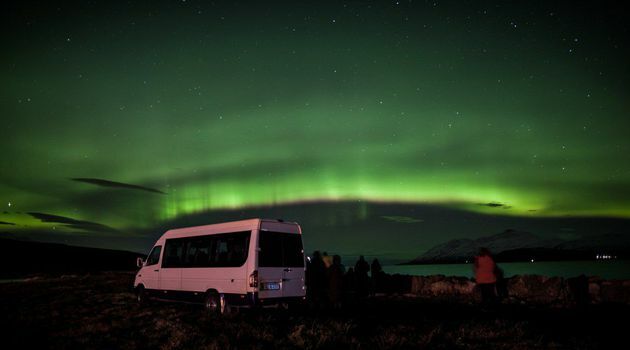 If your Tour Guide confirms that no lights were seen we offer a complimentary tour with a Northern Lights Bus. 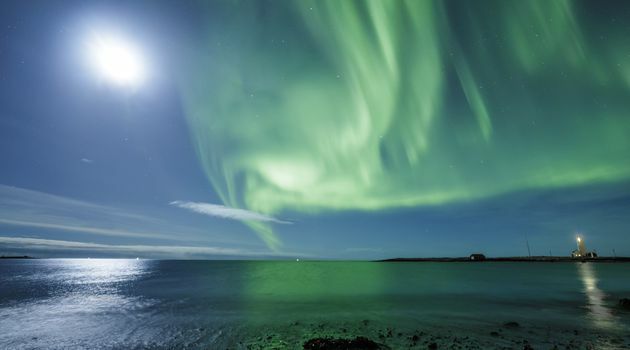 Please contact our sales team the day after your tour via email info@geoiceland.com or call +354 825 8886 to confirm a seat on the next available departure. Be sure to contact before 15:00 so we can reserve your seat.